Even lunch can be a great experience! No one knows these shorelines and waterways better! Our services include Fishing, Boating, Beach Parties, Dinner Cruises, Shelling, Sailing, Everglades tours, Catering, Boat Rallies, and more in the Ft. Myers, Naples and Marco Island Florida areas. For over 10 Years, Sea Excursions (Marco Island Sea Excursions) has served the Southwest Florida area. Planners of large and small meetings depend on Sea Excursions to handle the details for a wide variety of activities. A long list of return clients enjoy the efficient, cost effective, personal and responsive service available through Sea Excursions. Take Our Eco-Tour – We See Dolphin Every Day! Photograph and study our dolphin up-close and personal. Join our survey crew on our daily three-hour expedi-tions finding, photographing and studying the bottlenose dolphin of Southwest Florida. Photograph them as they play and travel with friends and come to and follow the boat. Learn their names and what they are doing. When we sight a new dolphin, you get to name it! With more than 20 years of specialized, seamless, multi-faceted customer service, “Your Island Concierge” is in the best position to guarantee that you spend time having fun and not looking for it. Whether you select from our many pre-packaged excursions or prefer one tailored to your needs and interests, we can deliver! 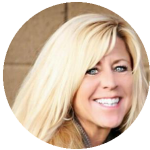 After all, we have the tools, the expertise, the resources, the know-howÖand, most of all, the dedication to customer service. Click on any listed activity (see left panel) to link to a detailed description. Then, call, Email, or stop by for one-stop arrangements and reservations. We offer “Only the Best”. Naples and Marco Island, Florida. 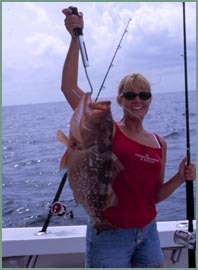 Enjoy the fabulous fishing in the Gulf of Mexico and 10,000 Islands. Our captains have been selected for their experience and reputation. All are U.S. Coast Guard Certified and insured. All charters include bait, tackle, fishing licenses, and cooler with ice. Half-day (four hours) and full-day (eight hours) charters are available. Off-Shore: Fish the beautifulGulf of Mexico waters with a USCG licenses captain, these boats got out into the Gulf 3-20 miles. You will fish reefs and wrecks for; Grouper, Snapper, Cobia, King and Spanish Mackerel, Permit, Barracuda, Shark, and seasonally, Tarpon. These 28′ to 40′ boats accommodate a maximum of six passengers and are equipped with a rest room. 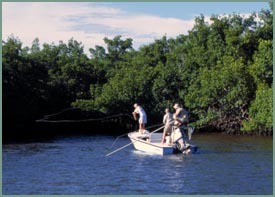 Back-Water: Fish the backwater mangrove areas for Snook, Redfish, Trout, Mangrove Snapper, Jack Crevalle and other backwater species. The wild life you will encounter makes fishing the 10,000 Islands both a scenic and a great fishing trip. These 24-26 foot boats accommodate a maximum of four passengers. . Fly Fishing: Also available with experienced, dedicated fly fishing specialists.